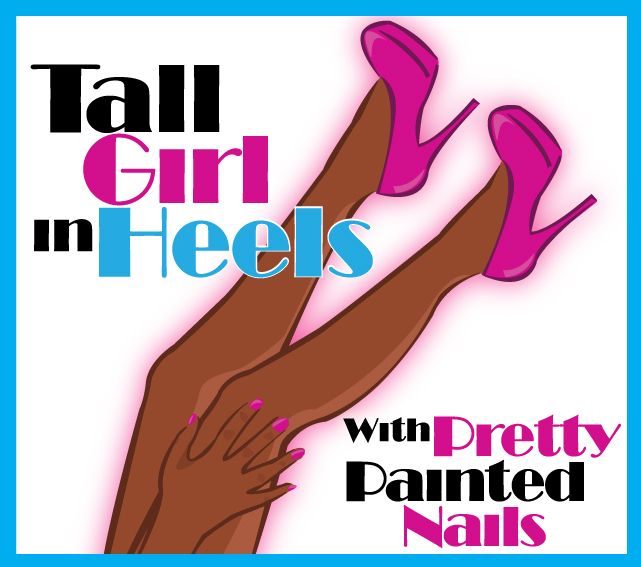 Tall Girl In Heels : Nails: Pretty & Polished Jawbreaker + GIVEAWAY! Nails: Pretty & Polished Jawbreaker + GIVEAWAY! Today, I have an indie polish from Pretty & Polished. From the title, you guys knows it's Jawbreaker. Who hasn't wanted and fell in love with Jawbreaker? I know I did. I bought a mini of Jawbreaker almost 2 years ago. I have only worn it maybe once or twice, but I never did a review of it on the blog. Well, today I have a review of it for you. Of course, Jawbreaker is a gorgeous white base with different sized colorful glitter. The glitter colors are green, yellow, red and blue. It applied with zero problems and was pretty opaque with two coats. I absolutely love Jawbreaker. It is one of my favorite white based glitter polishes. So pretty, right? Have you been dying to get your hands on Jawbreaker? I know a lot of people have so, I'm going to give one of my minis away! I received another mini of Jawbreaker in my March Beauty Box from Pretty & Polished and I don't need two. All information on how to enter will be included in the rafflecopter below! The one on the left is the new, and unused Jawbreaker. Hi! My favorite white based polish is from the Etsy store Glam Polish. It's called Blibber Blubber and it's in their Seuss-tacular Collection. It's so much fun! Thanks for the giveaway! I don't have one.. I can't find a good one! I don't have one. Thank you for the giveaway!! I haven't found a white that I am just in love with yet!!! Beauty: Tips for Soft Moisturized Feet.